This coupon has a limit of one coupon per product. 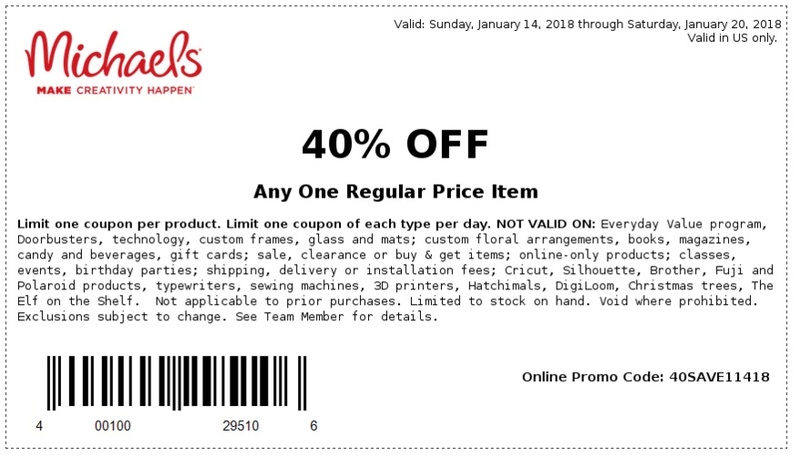 This coupon also has a limit of one coupon of each type per day. Please check the exclusions that apply on the coupon above. You can also use this coupon online, the promotional code is 40SAVE11418. This coupon is valid from 01/14/2018 to 01/20/2018 so hurry and take advantaage of 40% offer. Please, share this post with other people who might find it useful. If you have any questions or comments please leave them on the comments section below. If this coupon has expired please check again for new coupons. I am always on the lookout for coupons so be sure to bookmark this blog. I really hope you enjoy this coupon and save money.